in Lodge Fergusson St James on 16th September 1924. In 1927, Sir Charles was approached for permission the call a proposed new Lodge by his name. He agreed and Sir Charles Fergusson Lodge No 290 was formed. to become Empire Fergusson Lodge No 225. 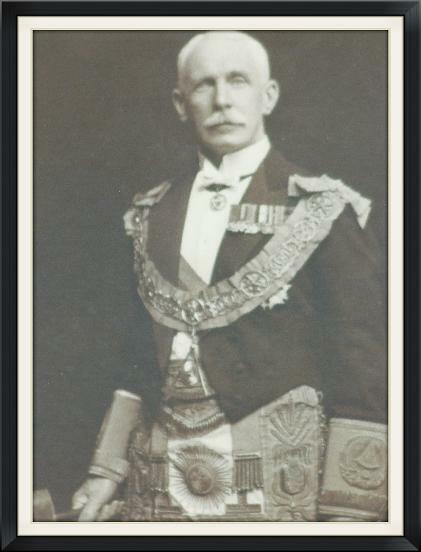 Above is a photograph of Sir Charles Fergusson in Masonic Regalia dressed as Grand Master Mason of New Zealand which was presented to the Lodge on his passing in 1951. 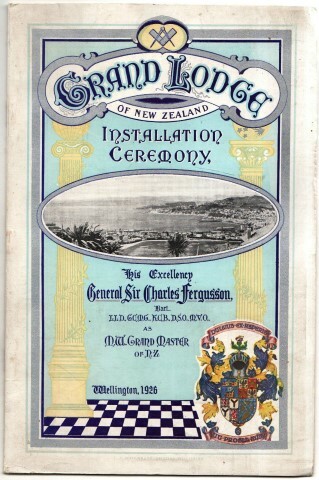 Also above the original programme of his Installation in Wellington in 1926. Sir James Fergusson, from whom the Lodge takes it’s name was initiated in Apollo University Lodge No.357 Oxford. He was also a member and later Worthy Master of Lodge The Marquis of Dalhousie No.1159 London. After affiliating to Mother Kilwinning No.0 was Provincial Grand Master of Ayrshire 1859 – 1864. He was made an Honorary Member of Lodge Fergusson St James on the 27th August 1875. At the joint consecration of Lodge Fergusson St James No.566 and The Bonnie Doon No.565 Sir James installed both sets of office bearers into their respective offices. Served with the Grenadier Guards in the Crimean war. Governor Bombay 1880 – 1885. In 1907 he attended the conference of the British Cotton Growing Association in Jamaica, where on the 14th January he was killed in an earthquake while walking in the street.